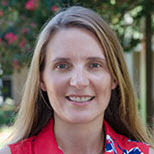 The South Carolina State Library Foundation supports and advocates for libraries and literacy awareness by fostering collaborations with public and private partnerships that enhance lifelong learning for all patrons and South Carolinians. The SC State Library Foundation was founded in 1996, designated as a public charity. It operates as a non-profit, educational/charitable organization under applicable laws of the state of South Carolina and the Internal Revenue Code as a 501(c)3 organization. It's run by a community based board of directors, and a liaison from the South Carolina State Library. Please contact Denise Lyons. Information about available grants for libraries, to supplement a collection that was affected by a natural disaster or other adversity, or for programmatic grants that reach out to an underserved population, are posted on the resources page. Each year the Center for the Book at the Library of Congress and affiliate state Centers for the Book, invites readers in grades 4 through 10 to enter Letters About Literature, a national reading-writing contest. Students write a personal letter to an author, living or dead, from any genre– fiction or nonfiction, contemporary or classic, explaining how that author’s work changed the student’s way of thinking about the world or themselves. South Carolina winners receive cash prizes provided by the South Carolina State Library Foundation. To find out more about the program and how your school or individual child can get involved, please visit www.read.gov/letters. StoryfestSC was the state’s summer reading program kick-off event sponsored by the South Carolina State Library for eight years. This free event for families was held in June at the State Museum in Columbia which featured children’s authors and fostered an excitement for reading, especially throughout the summer. Retired in 2018, the South Carolina State Library Foundation supported this family literacy event each year. 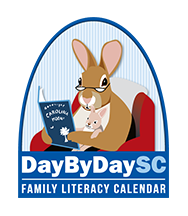 The South Carolina Day by Day Family Literacy Calendar is a tool that families, caregivers, educators and librarians can use at home and in the classroom to further develop early literacy skills to help prepare young children for school or help them do better in school. The Calendar is a project of the South Carolina State Library, working in partnership with agencies and organizations, including the South Carolina State Library Foundation and a Library Services and Technology Act grant from the U.S. Institute of Museum and Library Services (IMLS). An online version is available at www.daybydaysc.org. The fifth year anniversary of the calendar is being celebrated with an updated version and new art from Helen Correll. Click here to download the calendar.